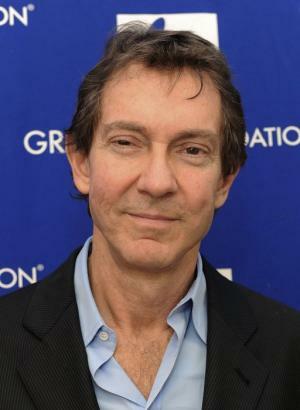 John Gregory Branca was born on 11 December 1950, in Bronxville, New York State, USA, and is a lawyer, best known for specializing in the entertainment industry. He’s represented numerous Rock ‘n’ Roll Hall of Famers throughout his career, including Michael Jackson, The Rolling Stones, ZZ Top, and Aerosmith. He’s been active in the industry since 1975, and all of his efforts have helped put his net worth to where it is today. How rich is John Branca? As of mid-2017, sources inform us of a net worth that is at $75 million, mostly earned through a successful career as an entertainment industry lawyer. Some of his other clients have included Alicia Keys, Justin Timberlake and the Backstreet Boys, but he also has big clients outside the music world. As he continues his endeavors, it is expected that his wealth will also continue to increase. At a young age, John moved to Los Angeles and would soon start the rock band called “The Other Half” in which he played guitar; the band was good enough to start opening for The Doors at a local club. He attended Los Angeles City College and later transferred to Occidental College, and after graduating, he then pursued a law degree at UCLA School of Law, finishing in 1975. Afterwards, he started working as an estate planner at Kindel & Anderson, but during his time there, he discovered the field of entertainment lawyers, and realized that he wanted to pursue that specialization. One of Branca’s biggest clients was Michael Jackson, and Branca was responsible for the production as well as release of the highly successful “Thriller”. Jackson nearly stopped the release of the video if not for Branca convincing him to proceed with the release – wisely as the album would go on to sell over 100 million copies. The success of the music video led other recording companies to reconsider their stance with music videos. In 1985, Branca then helped Jackson purchase ATV Music Publishing, and would lead the company to huge success, increasing his net worth as well. John also worked with the Rolling Stones, specifically their 1989 “Steel Wheels” tour, with John overseeing most of the details of the tour. Two years later, he helped Aerosmith land a $50 million four album deal with Sony, and in 2005 worked with Korn in helping them land a partnership with EMI, which later allowed John to make deals for Nickelback and Shakira. His net worth continued to rise, along with is reputation, thanks to these efforts. In 2008, John then helped the sale of numerous publishing catalogues due to changes in the tax laws allowing for higher gains. He also represented Rodgers & Hammerstein the following year, and was responsible for selling their catalog. He also helped songwriters regain copyright of their songs, and regain royalties they once lost. John is now considered one of the top music publishing lawyers in the country. For his personal life, it is known that Branca’s first marriage ended in divorce. He has a daughter from this marriage. He later married Julianna Lagno, and has two children from this second marriage. He currently resides in Beverly Park, Los Angeles, California. He also does philanthropic work, mainly collaborating with the Musicians Assistance Program, so winning a 2012 Grammy Foundation Service Award. He also serves on the Board of various institutions. Aside from these, Branca is a baseball card collector and owns numerous rare cards. Parents Barbara Werle, John Branca Sr. The Doors: When You're Strange 2009 Documentary additional thanks - as John Branca Esq.